Ich hab ja viele Lieblingsblumen und eigentlich ist alles schön, was Farbe in unser Leben bringt, aber die liebste von allen ist mir diese: Das Vergissmeinnicht! 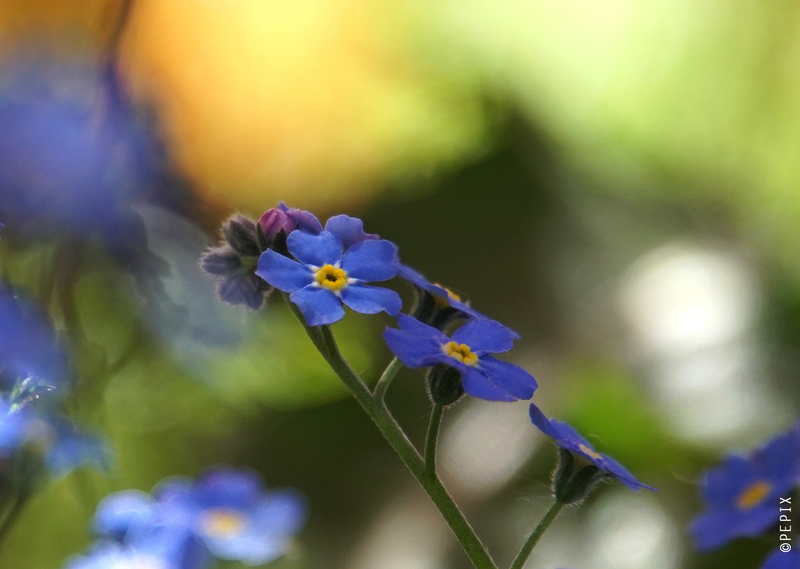 I have many favourite flowers and everything that brings colour into our lives is beautiful, but my very favourite is this one: The forget-me-not! Oooh…💙 sehr schön aufgenommen, ich lieb sie auch. Danke, liebe Ellen … die sind so hübsch, nicht wahr? 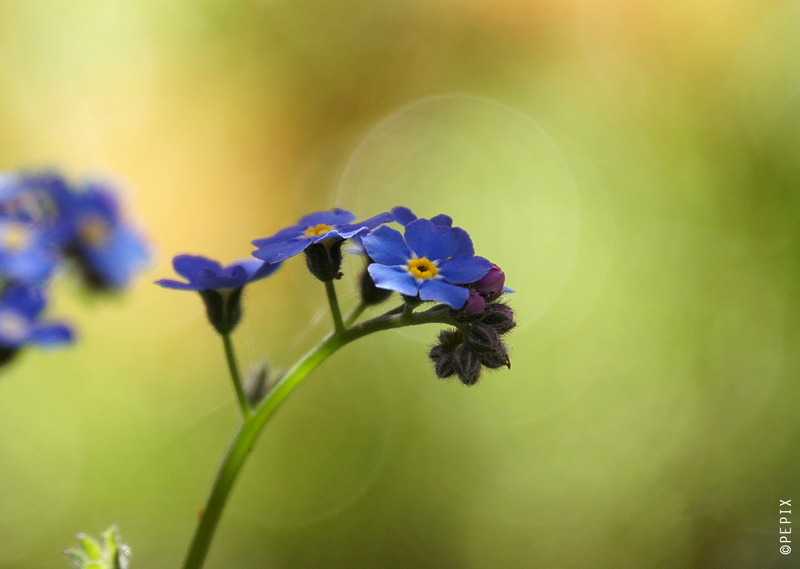 Zauberhafte Makros mit wunderschönem Bokeh! Wieder wunderschöne Bilder. Ich glaube, man kann gar nicht genug Lieblingsblumen haben. Danke 🙂 Ja, das stimmt – Blumen sind etwas Wundervolles! Das kann ich gut verstehen. Sieht auch wirklich hübsch aus. Once again, Petra, I owe you a debt of gratitude for sharing with me a bit of your world. Seeing these little flowers so full of color brings me cheer and puts a smile on my face. 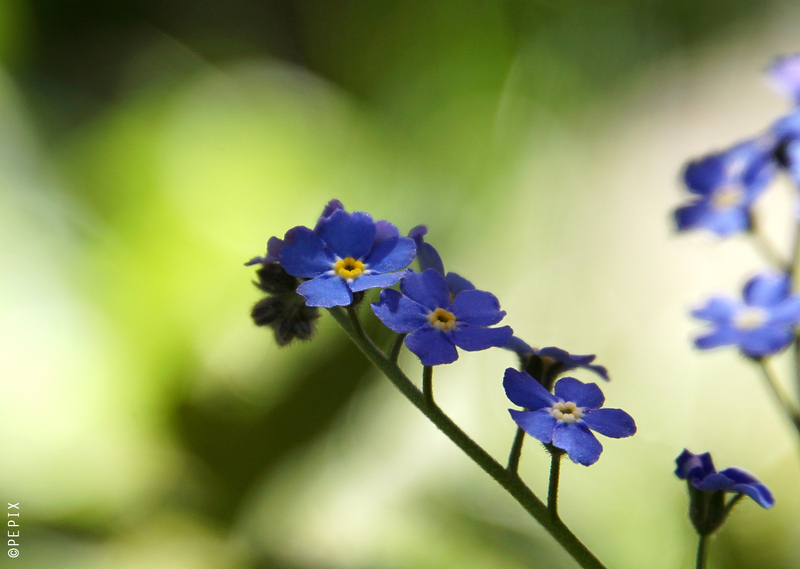 We, too, have forget-me-nots here in North America. There are some wild varieties and those found in domestic gardens. Either way, when I see them my face lights up and I am pleasantly surprised to see such beauty in this small package! Hi Tom, I’m glad you enjoy! These very blue ones are indeed in my garden, but I also love the wild ones. The blue ist paler, but they are also very pretty! Lovely images of this wonderful flower!